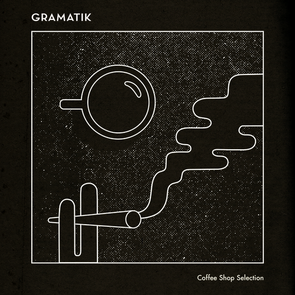 Gramatik (Denis Jasarevic) has personally picked some of the past favourites from all across his catalogue and they have a common theme - all are original compositions and no samples were used at all. The tracks stretch from downtempo to some serious head-bangers giving the listener a taste of his diversity. A collection of 18 tracks both new and old, including ‘Just Jammin’ and ‘Muy Tranquilo’, it also features three instrumentals, one of which has been previously unreleased. ‘The Anthem’ is vintage Gramatik production imbued with all the influences he has picked up from his Lowtemp crew that span musically far and wide. This newly created compilation comes right at the beginning of Denis’ North American Spring Tour. After playing the Ballroom stage at the BUKU Music and Arts Festival in New Orleans to kick off the road trip, he now has his sights set on Coachella, Hangout Festival and a highly return to Red Rocks. Red Rocks will play host to Gramatik’s own curated event, as Lowtemp’s Russ Liquid and Luxas will join Opiuo and CHERUB to accompany him for a much more intimate experience.